Many people have adopted beloved pets into their lives. Living in our homes and giving us the loyalty, love, and affection we crave. But besides being adorable, our pets have the likelihood of having an accident on the floor, and what you may not realize is that pet accident on tile and grout can have a negative impact on it, similarly like carpets and rugs do. Considering the food for thought, we at CA Carpet Cleaning & Water Damage Clean Up would like to take the opportunity to discuss your pet’s accidents on tile and grout. Tile and grout can have treatments that make it more resistant to stains and odors derived from pets. Most professionals offer or encourage homeowners to seal the tile and grout following a deep professional cleaning service. The sealant acts as a barrier, making the tile and especially grout, more resistant to pet stains. The tile can be afflicted by pets, but the grout, being especially porous in nature, is more susceptible to pet accidents as it absorbs the stains and odors. When pet accidents occur on carpets, immediate action should follow, just as you should when the tile and grout get hit with pet accidents. When these stains linger on the grout for extended periods of time, not only will stains be more difficult to remove, but the grout can suffer some additional damage. Fresh urine, for example has a pH of around 6 and as the urine dries, the pH can reach 10 or 12. In addition to the pH escalating as it dries, the reaction with the surface has an effect of oxidation causing the color of the infected surface can be altered. The damage becomes irreversible as the stain becomes permanent if not addressed immediately and left to dry for extended periods of time. More often than not, when removing the pet stains, the DIY grout and tile deep cleaning methods, are not effective and professional cleaning is necessary. Your grout and tile can be better protected from the consequences of pet accidents as well as the daily grit, grim, and moisture buildup as we touched on before. 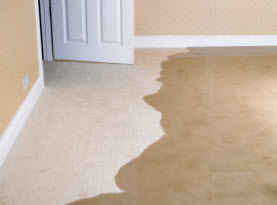 Stains derived from pet accidents with acidic content such as urine, defecating, and vomiting not only cause stains, but the tile and grout surfaces can be susceptible to etching. 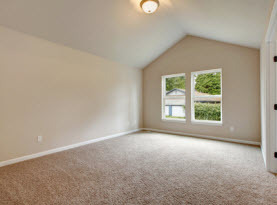 If not properly rectified the cracks are unsightly and eventually lead to crumbling. The floor might even have to be re-grouted in the event that etching becomes too serious due to the pet accidents. 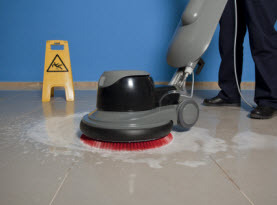 In conjunction with professional cleaning, routine cleaning is a must to properly care for your tile and grout. Pet accidents breed bacteria where it can thrive within the grout. With routine cleaning and professional services, the grout can be properly cleaned and sanitized, eliminating perfect breeding grounds for bacteria the pet accidents can offer. In order to combat this danger of spreading bacteria, pet owners should commit to regular professional tile and grout cleaning, especially if your pet has more than isolated accidents. Maximum disinfectant and sanitation can be conducted with the professional cleaning as well as full stain and odor removal. 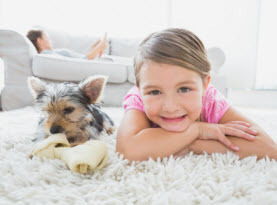 If you have pets in your home, call in the experts of CA Carpet Cleaning & Water Damage Clean Up and let our experts get your tile and grout restored to their vibrant and shine.